With only eight days left in their trade truce, top US and Chinese officials on Thursday returned to the daunting task of bridging a chasm between the world’s two largest economies. But analysts say the distance separating Washington and Beijing and the short time remaining before the March 1 deadline make it likely the outcome will feature banner announcements but fall short of Trump’s most far-reaching goals. “I think the consensus of people that have been following this thing is that they’re not making nearly as much progress as the president tweets that they’ve been making,” said William Reinsch, a former US trade official now at the Center for Strategic and International Studies. Chinese trade envoy Liu He is leading Beijing’s delegation in meetings with US Trade Representative Robert Lighthizer and other American officials Thursday and Friday as they work to head off an escalation of US tariffs. This fourth round of negotiations follows two days of preliminary talks at the deputy level. Trump this week said a March 1 deadline to reach a deal was in fact “not a magical date,” raising hopes that he could delay the plan to more than double US duties on $200 billion in Chinese goods. Since July, Washington and Beijing have hit each other with tariffs on more than $360 billion in two-way trade, weighing on the manufacturing sectors in both countries. 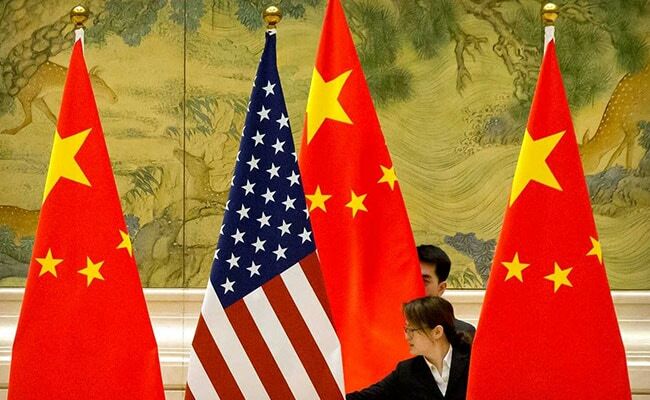 Washington has demanded that Beijing reverse much of its industrial policy, charging that China has sought global dominance through the alleged theft of American technology, massive subsidies and the promotion of mammoth state-owned enterprises. US officials have stressed that any agreement must have teeth to ensure that China keeps its promises. But demands for structural changes to China’s economy likely will be far harder to resolve than complaints about the soaring US-China trade imbalance, which has hit record heights since Trump took office. Trump has said the ultimate bargain will be struck at a meeting with China’s President Xi Jinping. Reinsch told AFP the two sides were likely to strike some kind of deal. “I’m sure they’ll come up with something that will be more than cosmetic but less than we’re asking,” he said. But other changes — such as subjecting China’s state-owned enterprises to free-market principles — could weaken the communist party’s hold on power, making Chinese officials very reluctant to budge, he added. China’s retaliatory tariffs have severely hit US farm exports, with China dangling the possibility in recent weeks of increasing purchases of US goods to sweeten any deal. “If we can reach an agreement on the enforceability of structural issues regarding intellectual property, I think we can recover those markets,” US Agriculture Secretary Sonny Perdue said Thursday at a separate event on North American trade. Meanwhile, China’s economy has begun slowing sharply as well, eroding prospects for global growth this year. Japan reported Tuesday that China-bound exports had dived 17.4 percent last month, the biggest drop in three years as demand there tumbled. Gary Clyde Hufbauer, a former US trade official now at the Peterson Institute for International Economics, said he expected China to make a mega-bucks offer to buy more American exports — and possibly even unilaterally remove tariffs on US goods. “I’m thinking there’ll be an eye-catching announcement as to how much China will buy in the next year or so that will enable Trump to say ‘victory! victory! '” he told AFP. But should the agreement fail to hold — causing Washington to resume imposing tariffs while accusing Beijing of backsliding — that could pose prove embarrassing for the Americans, he said. Wall Street was lower as the talks got underway, also driven down by negative European and Japanese economic data.